The latest from Hermès is the Dressage L’heure masquée, a novel timepiece with a secret hour hand as well as second time zone, both of which are revealed on demand, powered by the proprietary H1925 movement. Three years ago Hermès presented the Arceau Le Temps suspendu, a watch that suspended time until the wearer demanded it. 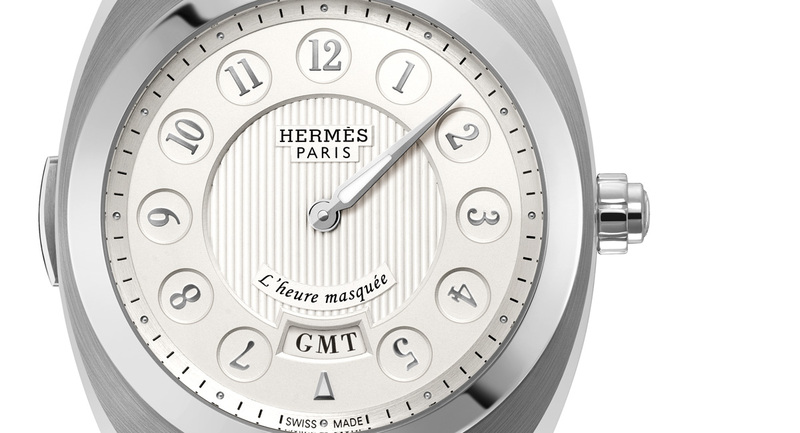 This year at Baselworld 2014 Hermes has introduced a watch with a similarly whimsical time display, the Dressage L’heure masquée. Both the hour hand and GMT display remain hidden until the crown is pressed, before disappearing when the pusher is released. Unless called upon, the hour hand sits directly beneath the minute hand, remaining hidden and travelling in sync with the minutes. Likewise, the second time zone window at six o’clock reads “GMT”, only revealing the second time zone on demand. Both of these are revealed when the button co-axial with the crown is pressed, and remain visible for as long as the button is depressed. 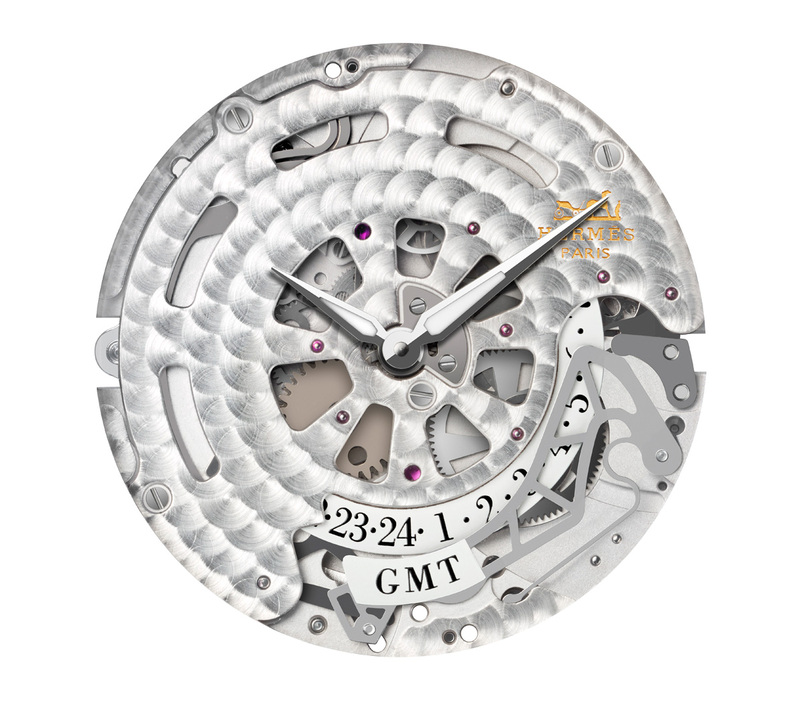 The H1925 hidden time mechanism functions similarly to a chronograph, with the hour hand linked to a cam that releases it when the button is pressed. The second time zone operates on a similar principle and is advanced in hour steps by the button at nine o’clock. Hermès has been gradually growing its timepieces equipped with manufacture movements, which started with the Dressage H1837. 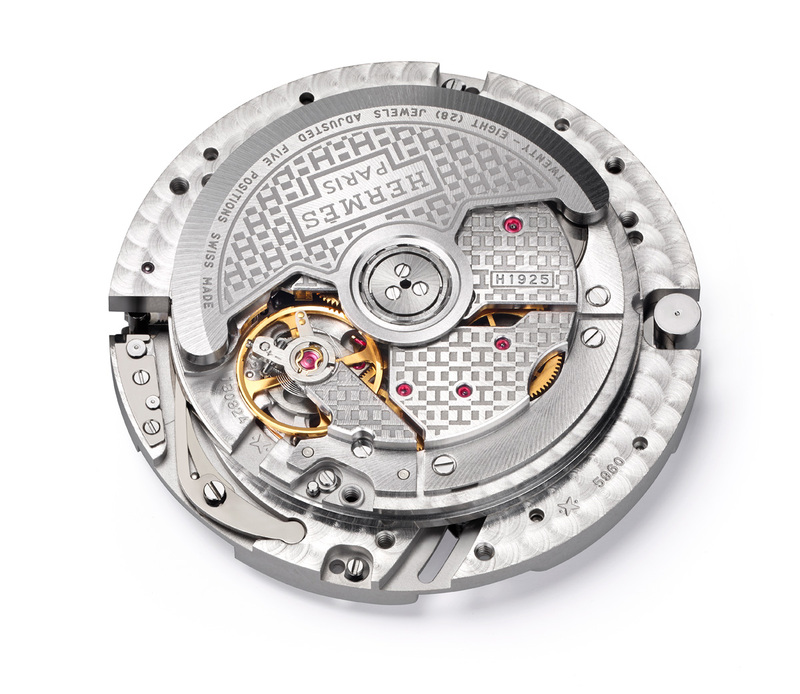 Similarly, the Dressage L’heure masquée is powered by the H1925 automatic movement. Like all of the Hermès manufacture movements, this was developed and made by Vaucher Manufacture, of which Hermès owns a quarter. 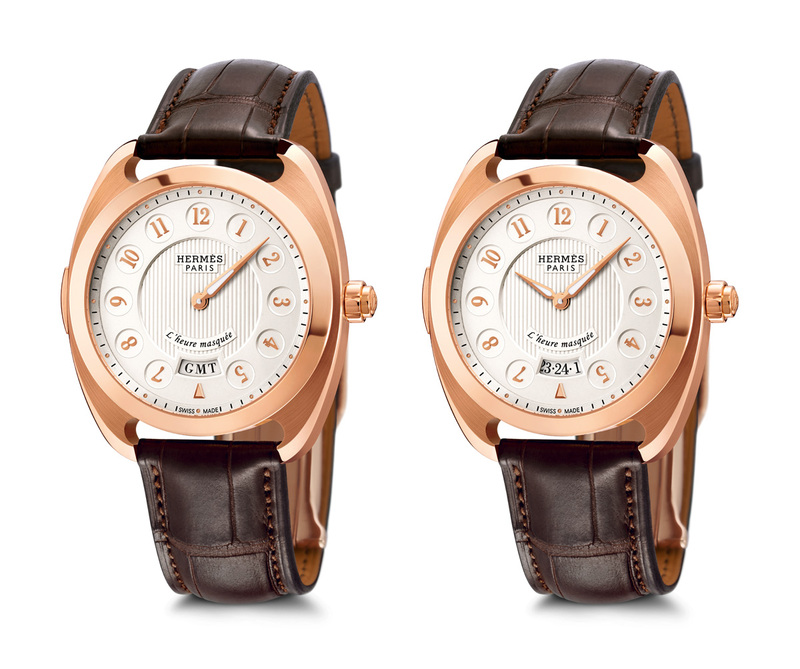 The Dressage L’heure masquée has a 40.5 mm case, available in rose gold or steel. 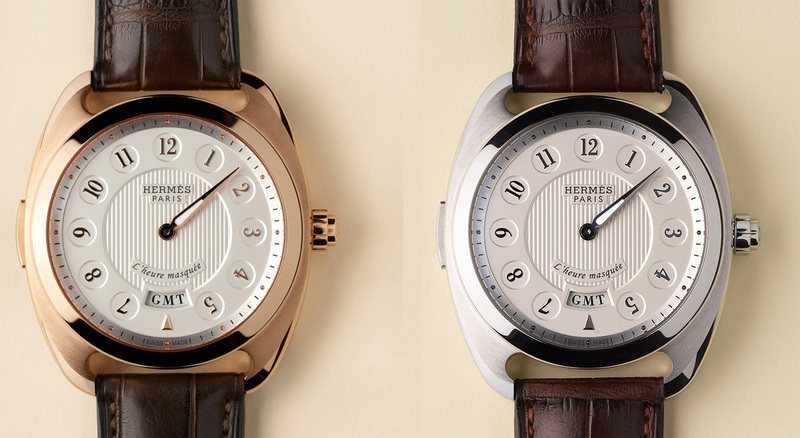 Both versions have stamped vertical guilloche dials. The rose gold model is limited to 500 pieces and priced at US$44,000, while the 1000 piece steel edition will cost US$19,500.